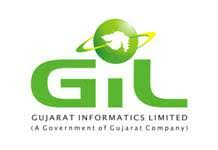 Gujarat Informatics ltd. (GIL) has published Advertisement for below mentioned Posts 2017. Other details like age limit, educational qualification, selection process, application fee and how to apply are given below. Educational Qualification: A Full Time degree of M.L.W or M.B.A (HR) or MHRM from a recognized university. Additional degree in Law is preferable. Experience: Minimum 7+ years' experience in handling all HR and Admin Functions mainly Recruitment, Performance Management, payroll, knowledge of labour laws, Training & development, MIS etc. Experience in Government sector/PSU will be preferred. Remuneration : up to Rs.35,000/- p.m.